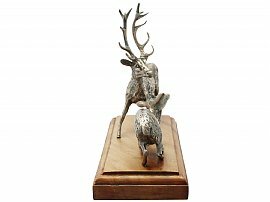 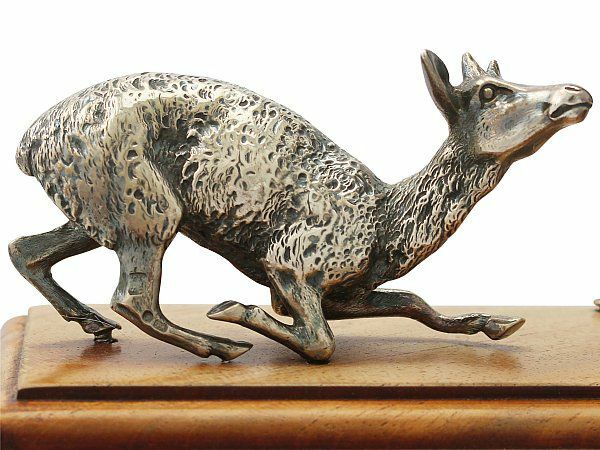 These fine antique Victorian cast sterling silver table ornament is realistically modelled in the form of a stag and a submissively kneeling doe. 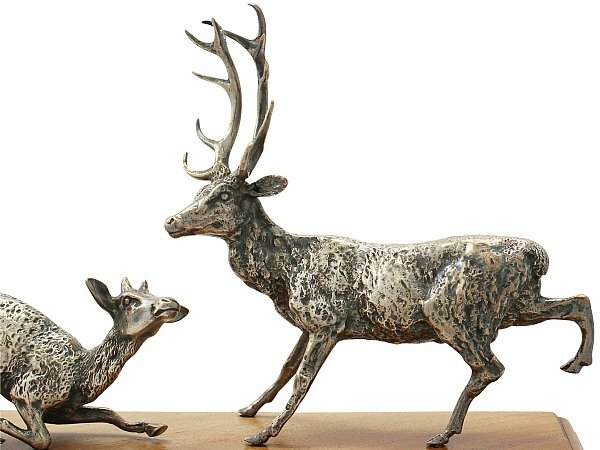 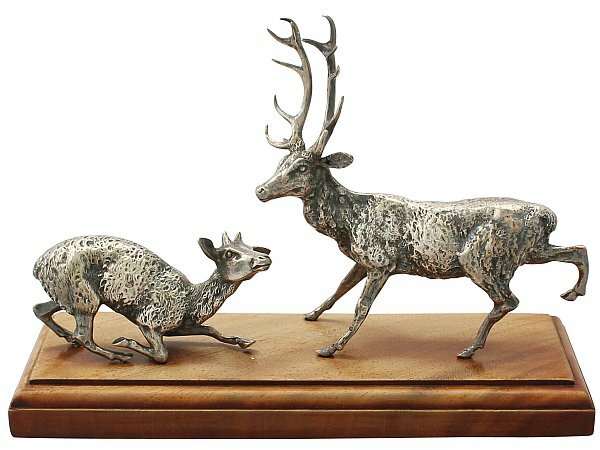 These cast sterling silver deer are embellished with chased decoration reproducing the detail of their features and fur coat. 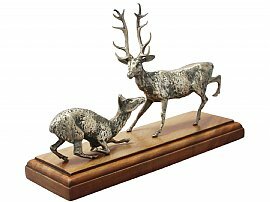 The push fit deer and stag models are fitted to the original antique mahogany plinth. 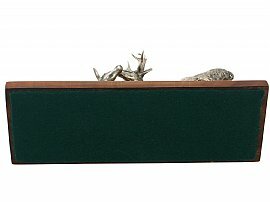 The plinth is fitted with green baize to the underside. 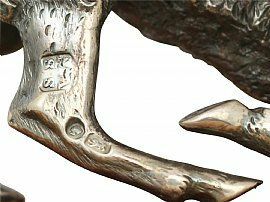 The models have integrated screw fittings and are struck with part hallmarks, suggesting they may originally have been attached to a larger item of Victorian silverware such as a centrepiece. 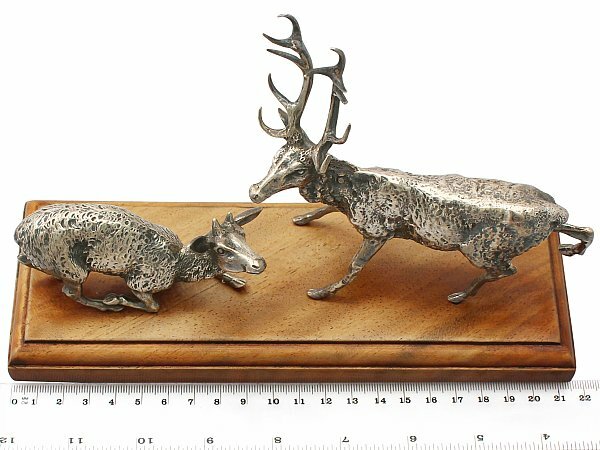 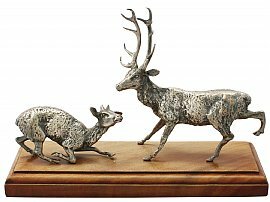 These antique sterling silver deer models are a very good gauge of silver, fine quality and in excellent condition. 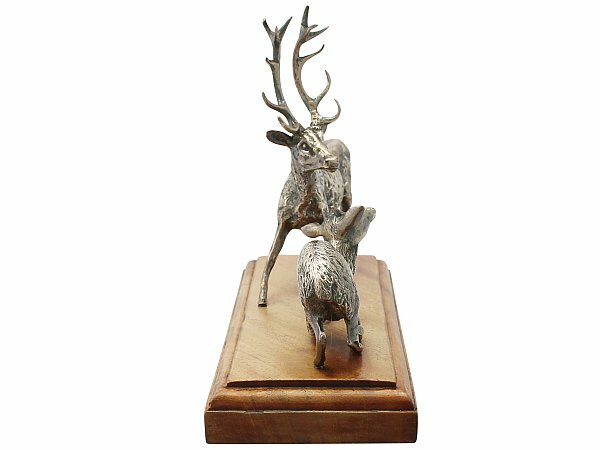 The individual deer have been professionally polished and are in presentation condition. The maker's mark, lion passant and monarch's head struck to the surface of each model are show signs of wear but remain legible. 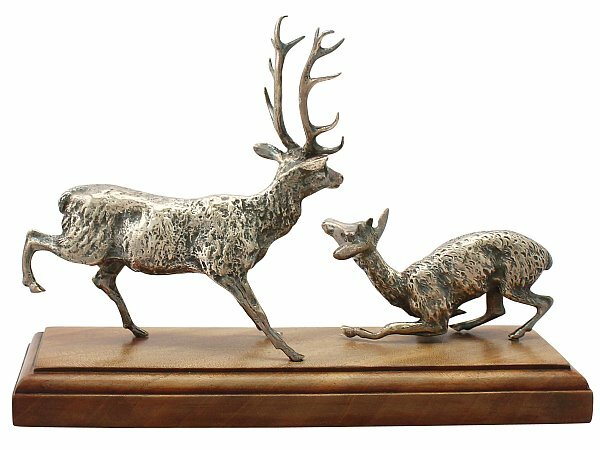 Height to top of antler (including base) 15.5cm/6.1"
Height to top of ear (including base) 7.5cm/2.9"